Home > Blog > Major Facebook News Feed Changes: What Do They Mean For Your Business? Comments:Comments Off on Major Facebook News Feed Changes: What Do They Mean For Your Business? The way we use Facebook is changing, particularly in terms of how businesses and brands can use the platform for promotional purposes. 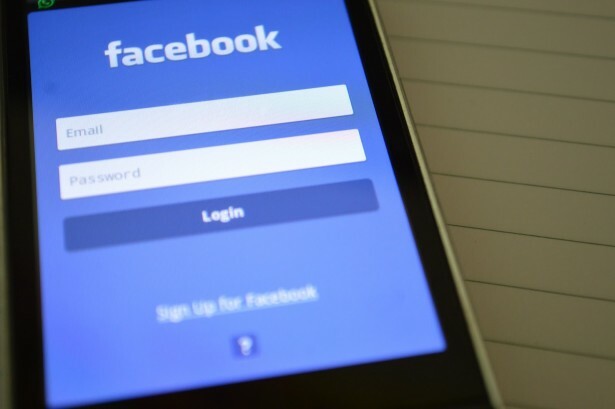 Facebook has been a great social media tool for marketing in recent years, however, Mark Zuckerberg has revealed that people are spending significantly less time on Facebook and that time spent on this social media platform should be more valuable and personal. This has prompted major Facebook news feed changes, so what does this mean for businesses? I’m here to tell you all about the changes and the ways in which you can adapt your social media marketing to these changes. Facebook is changing but don’t panic! The new changes will target the news feed section of Facebook and will involve giving content published by businesses and brands lower priority over personal posts from friends and family. In the past, Facebook has been accused of bombarding users with promotional content and viral videos which can make the social network seem impersonal and commercial. Facebook will give more prominence to public content that is seen as engaging, interactive, meaningful, and trustworthy. These changes come after the backlash of the ‘fake news’ scandal which has put the reliability of Facebook into disrepute. The aim of these changes is to create a better online environment for users, in which their time spent scrolling through news feeds is more valuable. 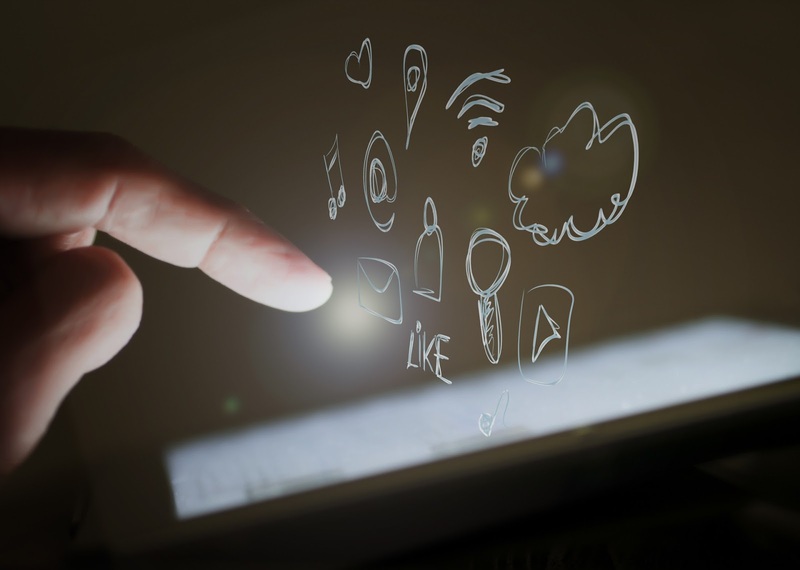 If you rely heavily on social media, these new changes may seem to have put your social media marketing plans up in the air, and on the surface they would suggest a negative impact on business. However, don’t panic as these changes could also be good for business if used wisely. Essentially, you have to make sure that your brand is prioritised by creating posts that adhere to these new changes. So, read on to ensure that you’re in the know and that your business is not left behind by these new changes. Engaging with your audience on Facebook is now more valuable than ever. Facebook will use the news feed algorithm to distinguish between positive and negative engagement. Engagement is no longer about the number of likes that your post draws in, it’s now about meaningful interaction and engagement with the public that generates discussions. Spammy, low quality posts will not be shown in news feeds, which is a trick used by many marketeers to increase engagement. This means that you may have to work harder creating high quality posts that have all the ingredients to gain favourable priority on the news feed. However, if you’ve already been working hard creating posts that generate a lot of quality engagement then you will welcome these new changes as it will essentially lower your competition. In order to stand out and gain high priority on your customers’ news feeds, it’s important to be creative and meaningful with your posts. If you’re already doing this then great! Continue to create these types of posts and you will be rewarded, even more so with these new changes. However, if you’ve historically been lazy with your posts then you need to start increasing the effort and creativity you use in order to have them make an impact. Get to know what your customers enjoy seeing on their news feeds and create posts around this to prompt engagement. Most importantly – make it relevant to your brand and what your customers are discussing. Ultimately, the goal of the new Facebook news feed changes is to encourage personal interaction within the community to make time on Facebook more valuable. In order for your posts to be seen on news feeds, you need to create ways of interacting with your customers. A simple but effective way of doing this is by asking questions and prompting debate which will naturally encourage people to like and react to your posts. Gone are the days of asking the public to ‘like, share and comment’ as your post should organically encourage this. Ask open ended questions that are relevant to your industry and you will help to prompt discussion. 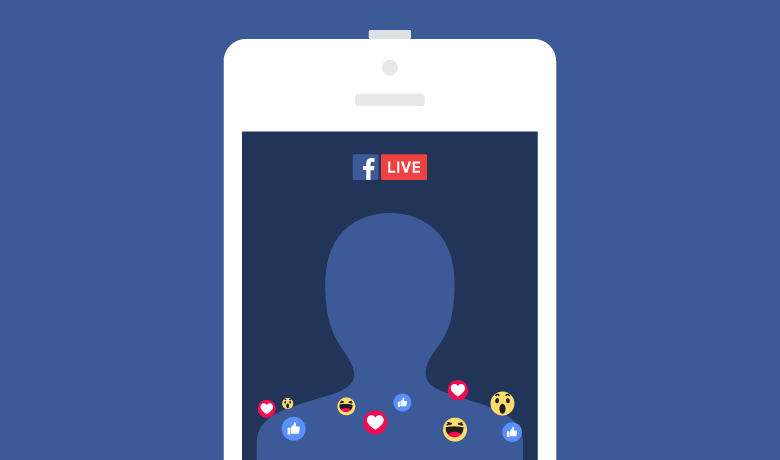 Another way of interacting with users is by creating high quality videos and taking advantage of Facebook Live. This type of interaction is instant and you can ask questions in these videos, but always remember to keep it meaningful, particularly with the new restrictions to Facebook videos. A genuine way of interacting with the community is by creating a Facebook group that is relevant to your business. This makes you more trustworthy, relevant and engaging. 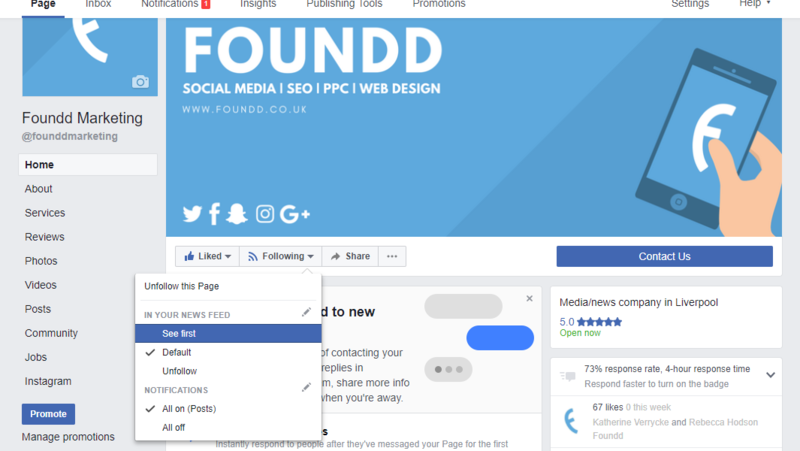 Get your followers to tick the ‘see first’ option on your page so your posts get priority. Get your Facebook posts out there by sharing them on blogging and social media platforms. Do you know exactly what your customers want following these changes? If not, then the simple solution is asking them what they like to see on their news feeds, if you don’t ask you don’t get! Although at first glance these changes seem to alienate brands, businesses, and the media, when reading into these changes not much has actually changed other than Facebook becoming stricter about the quality of content that it shows on news feeds. I take this as a positive transformation of Facebook news feeds as it encourages loyal and genuine customer following and interaction. It’s putting those businesses who put hard work into their Facebook marketing at the top which can only be a good thing. What do you think of the latest Facebook news feed changes? Reach out to me via Twitter @foundd_laura and let me know your thoughts.